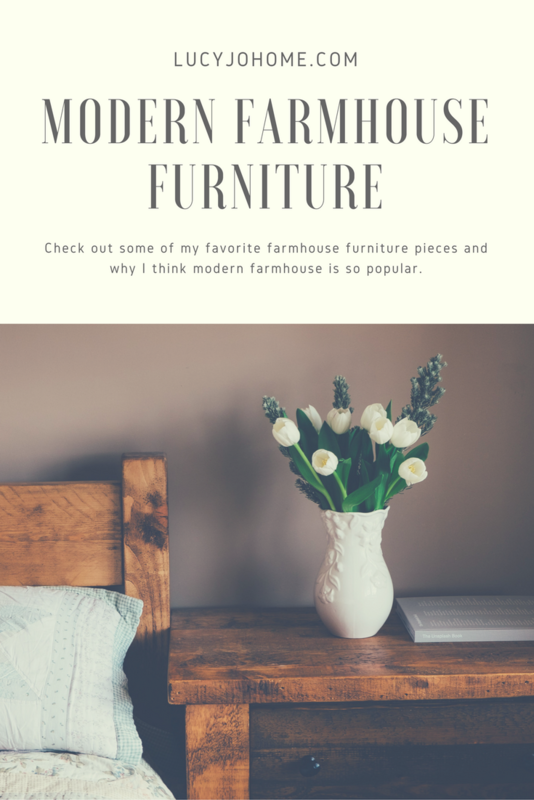 I have been thinking about why the farmhouse look or new country style is so popular with so many people. Here is my theory: We love to be connected to the past and yet put our own modern spin on it. There is a homey, comforting feeling to our ancestors that were connected to the land and especially to the idea of home. They really lived in their homes and nearly everything in their homes had purpose or it was left behind. My ancestors left England with very little and moved across the United States to the west in a short amount of time. I doubt they carted many unnecessary frivolities around. What they had could be moved easy and when they settled they built up their homes and goods slowly and with quality workmanship. In the past, the furniture was not bought at a large store, it was made by hand with love and hard work. I think this idea of filling our home with love and things that denote hard work keeps our homes grounded and livable. I love a glamorous space, but I do like that the farmhouse look is durable, comfy and yet filled with modern lines and aesthetics. Here are a few of my favorite farmhouse pieces from Target. I am looking forward to seeing Chip and Joanna’s line Hearth and Hand at Target coming in November. I imagine the items are beautiful, modern and yet filled with purpose and simplicity. This dresser has such a beautiful color to it. It is simple, but it can easily be decorated well. The amount of drawer space is wonderful with this piece. It would compliment the three drawer dresser well in a bedroom or living space. For those that love a little vintage color, this side table would look beautiful against white or wood furniture. This piece definitely reminds me of my ancestors. Although we would likely decorate this furniture with pretty display pieces, they would have used this as a major source of storage in their kitchen or living space. What I love about our ancestors is they combined beauty and function, mostly because they had to. I love this console table. I am in need of pretty console table to put beneath my ancestor wall gallery that I am working on. This will be in the running as I search, for sure. I love this rustic dining table. It is easy for me to imagine adding fresh flowers to the table or adding a bright tablecloth. These serving trays are simple and vintage. I have been asking Cody if he could make something similar to this with his foundry. I cannot justify this as an essential by any means, but it is so pretty. I have a love for birds and you could put greenery or something more functional like a candle inside if you wanted to. This table is beautiful and looks sturdy. This lighting piece, I think, marries the past and the present well! I love the color of this coffee table. I don’t own coffee tables at this point because the open space is more important, but when i get one, this would be a contender. I already added some serving trays, but the round ones would add some variety in the types of lines in a room. There are a lot of straight lines in a room normally, so something round could bring balance. Entryways can be tricky in homes; this bench would be a beautiful addition. Add pillows and a mirror above. Assuming that this actually weighs things, this is a wonderful combination of beauty and function. Pull these up to wood counters and repeat. The woodwork at the top of this entryway piece is special and it does double duty as a looking glass and a place to hang keys, hats, and bags. Place this beneath the entryway mirror and hooks and you have a warm and organized welcome for your visitors. Do you have any furniture that has been passed down from ancestors? My mom has a gorgeous sewing table and antique sewing machine that I hope I get to display in my own home someday. I hope you always consider quality, function, beauty, price and harmony as you pick out your furniture.